← September 29 is National Coffee Day! 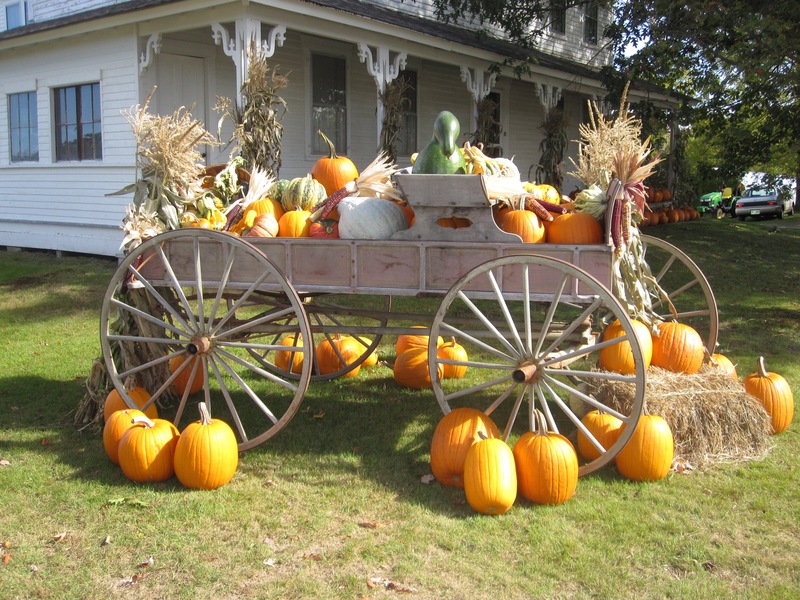 Pumpkins greeted us at Moulton Farms in Meredith, New Hampshire. October took us away from San Diego to opposite sides of the United States. Patty headed for the Northwest while I headed to New England for a 3-state loop of leaf peeping. Yes, in case you are wondering, both of us were able to find amazing coffee options. I remembered Moulton Farms, (www.MoultonFarms.com) near Meredith, New Hampshire, from a previous trip to New England so we had to return. I recall the vast numbers of pumpkins, but this year there seemed to be even more and the various pumpkin varieties were labeled. Who knew there were so many pumpkin choices?!? I sure didn’t. Moulton Farms has pump bottles filled with coffee varieties so you can sample your choice. They were out of the Winnipesaukee blend, but they still had Sumatra, Peruvian, and jolt-less joe if decaf is your choice. If you aren’t in the mood for coffee, hot chocolate or hot mulled cider are other excellent alternatives. A small building sells fresh Cider Bellies Doughnuts including a cider donut drizzled with maple syrup. Try keeping that from a Vermont-born, maple syrup-loving husband! A cider doughnut, a cup of coffee, and some crisp fall air is the autumn trifecta. Meanwhile Patty reports that Seattle deserves its coffee reputation. It’s pure bedlam in Seattle’s Bedlam Coffee! I’m sure you all know it was the birthplace of Starbucks, but my first stop was Bedlam Coffee (http://bedlamite.com/) in the area known at Belltown. It was the name that drew me, but the coffee brought me back 4 times. While they wouldn’t disclose who roasts their coffee, it was the best I had in the Seattle area. 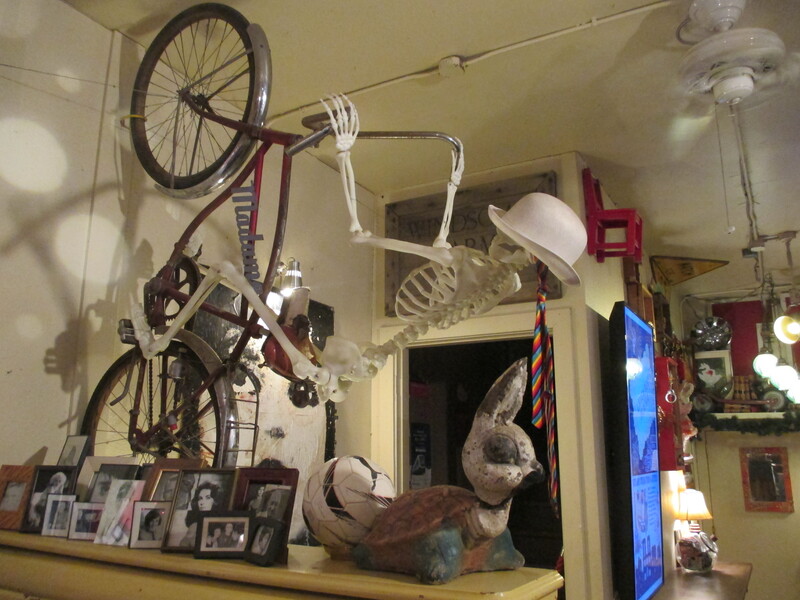 The décor was in my comfort zone: funky & fun! Belltown, the Seattle neighborhood where we found Bedlam, is near the Space Needle & Olympic Discovery Park. See what else is here at www.belltown.org/. 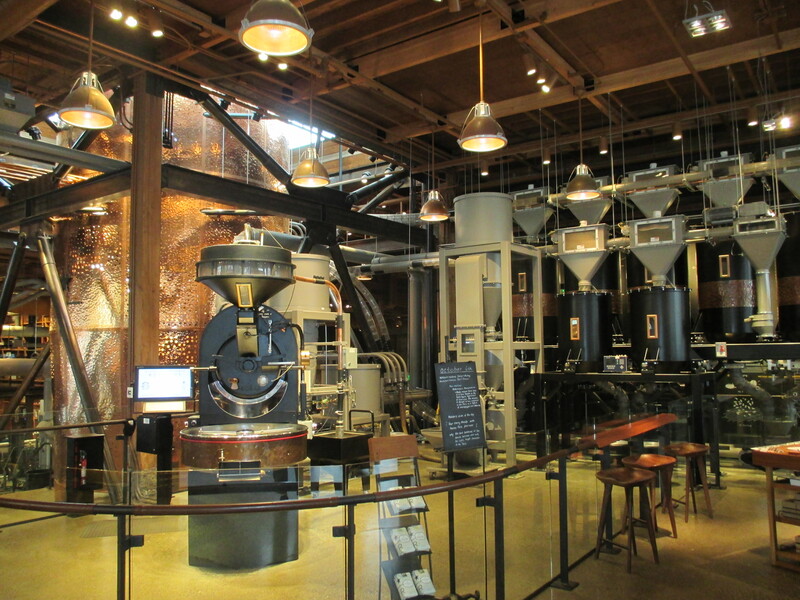 Starbucks new Roastery looked more like a brewery when we first walked in. Of course I had to try the original Starbucks in Pike’s Market, but the line kept me away. Instead I went to their new Reserve Roastery & Tasting Room at 1124 Pike St., about a 20 min. walk away from Pike’s Market. I know I would have spent 20 min. in line, anyway, but it was worth the walk. It struck me as a cross between a brewery & a science lab with a high-end lounge. You’re handed a menu of coffee choices as you enter, plus an overwhelming array of sections to visit. There’s the micro roaster vs the small batch roaster, the scooping bar or the coffee experience bar, storage silos & copper casks, a coffee library with pneumatic transfer tubes running overhead, plus a retail section offering coffee production tools I’ve never seen before. I needed to relax with a cup of coffee when I was done soaking it all in! Now I’m not usually a follower of Starbucks coffee, preferring local coffee shops, but Starbucks is local in Seattle & I’m glad I dropped my principles & gave this one a try. It was the 2nd best cup of coffee I had in Seattle…Bedlam is still #1. Both of us wish you crisp autumn days and hot cups of coffee, maybe even with some pumpkin spice. This entry was posted in brewery with coffee, library books and coffee, Seattle Coffee, Starbucks and tagged New Hampshire coffee, Seattle coffee. Bookmark the permalink.